Animal Lifeline is dedicated to providing excellent and affordable Spay and Neuter services for pets in need and feral cats in Bucks County. One of our goals at Animal Lifeline is to help end pet overpopulation and the killing of thousands of animals in the Bucks and surrounding areas each year by preventing future births of unwanted litters. Animal Lifeline serves as a partner to families and individuals in the community by guiding and aiding them in the spay/neuter process. Voucher Program: Animal Lifeline partners with No Nonsense Neutering http://www.nnnlv.org/ and Animal Alliance Planned Pethood http://www.animalalliancenj.org/ to provide low cost vouchers for low income family pets (cats and dogs) and feral cats. Low income families must provide proof of financial need and be a resident of Bucks County to qualify for services. 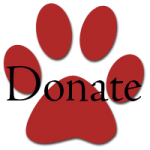 Organizations providing spay and neuter services for cats, American Pit Bull Terrier or Staffordshire Terriers can apply for spay and neuter grants for assist funds from Animal Lifeline to support their important work. Funds are limited to work in Bucks County. When application is complete please email info@animallifelinepa.org to alert us that you have applied.